The club house overlooks beautiful Henderson Harbor. It features a dining room, kitchen, bar, sun porch men’s and women’s heads with hot showers and changing areas. Outside patio, large shade trees with picnic tables and lawn chairs. Charcoal grills are available for use. There are 20 slips for annual lease, and adequate transient dockage. The mooring area is town controlled with visitor moorings available. HHYC now has high-speed wireless internet. Use our desktop station located in the main clubhouse or bring your own laptop that has a wireless card installed. You can now check email while you are away, check the weather forecast, check on the scores of your favorite team, or get a little work done. 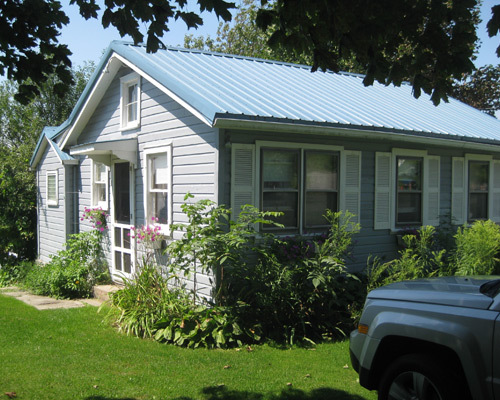 A charming 2 bedroom cottage on the water for a modest weekly rental has access to all of the club facilities and events- book your week early! A new children’s playground was installed in 2003 for toddlers and young children. Adult supervision is recommended. 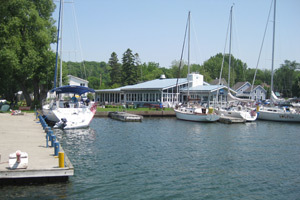 Located on the South side of the yacht club property consisting of the club house and common use of the small boat storage and launch facilities. 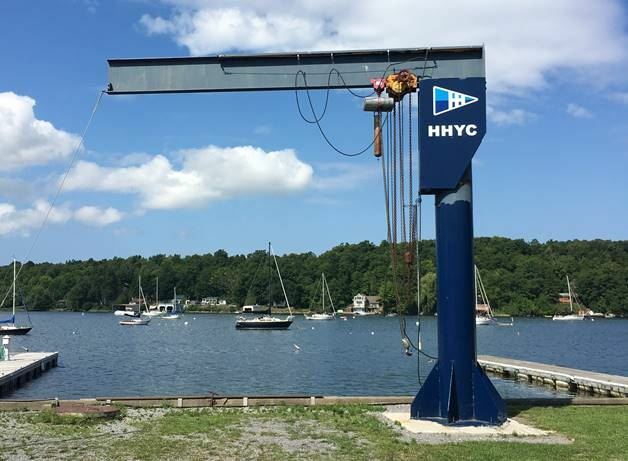 A 4,000 lb boat hoist is available on the club grounds for member/regatta use. It has the capacity to launch J/24s and similar boats that meet the weight capacity. Small boats and dinghies can be launched using a small hoist or on an unpaved ramp area near the leased docks. 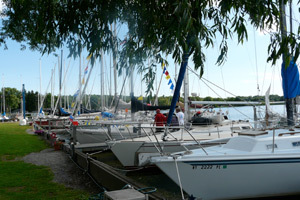 Onsite dinghy storage is available to club members.